An electrically driven dynamic mix & dispense valve for mixing low to medium viscosity adhesives where static mixers cannot adequately mix two components has been introduced by Ashby Cross Company of Newburyport, MA. 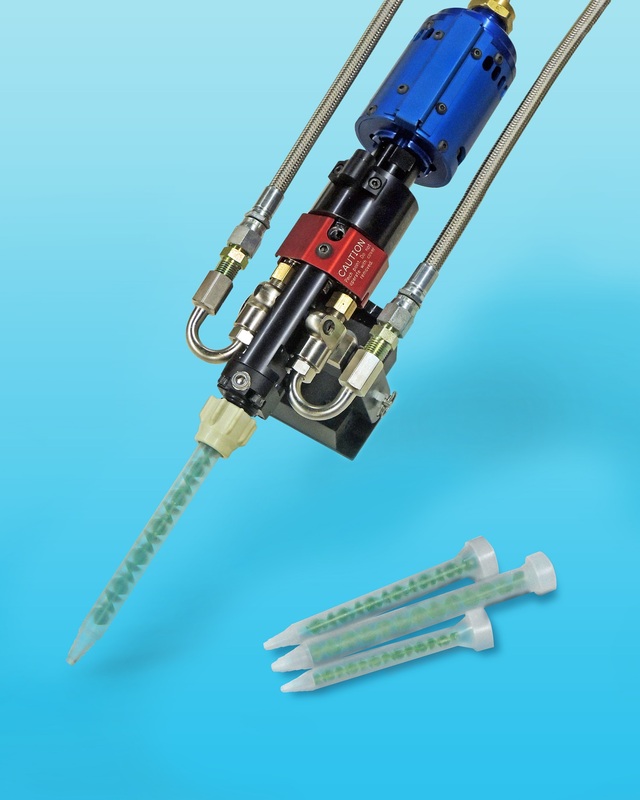 The DYNA-STAT® Dynamic Mix & Dispense Valve is electrically driven and combines adjustable high-shear mixing with disposable mixer chambers that eliminate the need for a solvent flush cycle. Ideal for two component low to medium viscosity mixing, it is adaptable to most meter-mix systems and can be configured in a dual-mode which combines a high-shear premix blade with standard disposable static mixers. Available with an electronic console which includes a speed control that allows up to 5,000 RPM rotation, depending upon viscosity, the DYNA-STAT® Dynamic Mix & Dispense Valve provides repeatability and is offered in four mixer sizes. An air injector port is included to develop the cell structure in urethane foam applications and it can also be used as an in-line blending system for multi-component materials. DYNA-STAT® Dynamic Mix & Dispense Valve is available on all Ashby Cross meter, mix systems and can be field-retrofit to existing systems.